The 2015 LNA Landscape Forum took place on 25 and 26 June in Terrey Hills, NSW and was a big success for Benchmark Estimating Software. Throughout the day, and during the breaks between sessions, conference attendees were very interested in receiving one-on-one demonstrations of our software. Attendees were also lucky enough to receive two very special offers exclusive to the LNA Landscape Forum. On Day 2 Bevis Pyle, Client and Corporate Services Manager of Benchmark Estimating Software, shared his knowledge on tendering. In his presentation, which was very well attended, Bevis presented ten fundamental steps of estimating as a guide to assist landscaping companies succeed and be profitable. 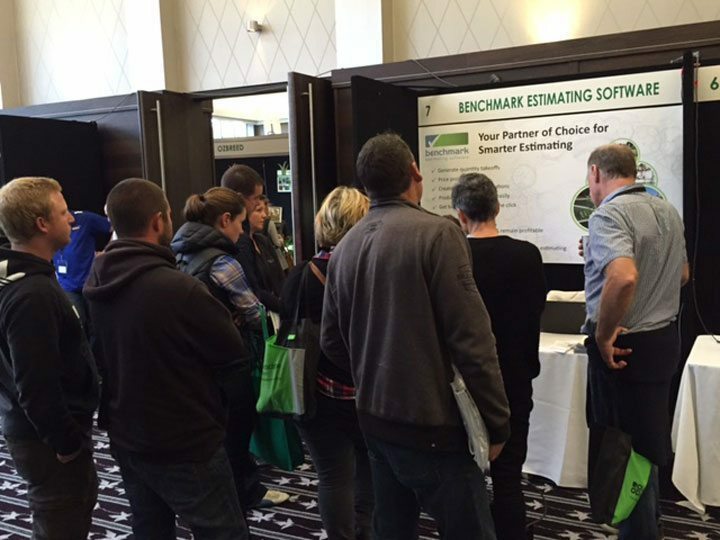 In conclusion, the 2015 LNA Landscape Forum was a great success for Benchmark Estimating Software; we look forward to continue working with our landscaping customers assisting them in making their estimating faster and smarter.